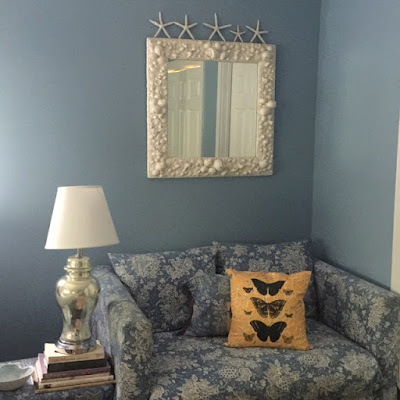 Nest by Tamara: Nest by Tamara's Why In Design Column: As Summer Winds Down, Thoughts on Decorating with the Color Blue! 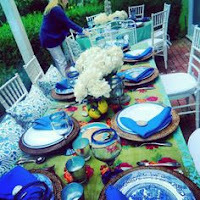 Nest by Tamara's Why In Design Column: As Summer Winds Down, Thoughts on Decorating with the Color Blue! 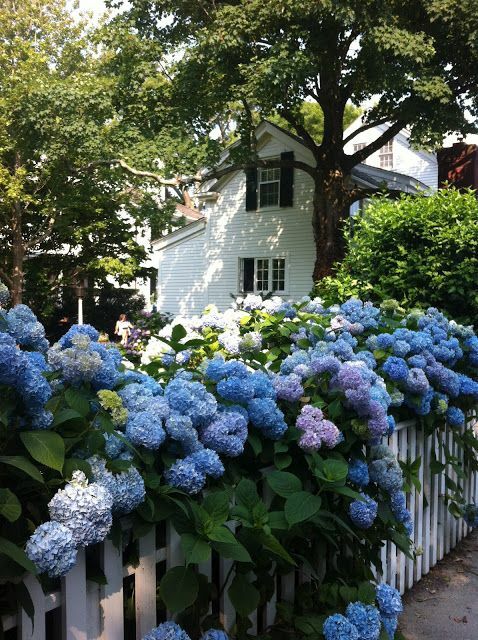 Blue is our favorite color for decoration. We confess that the cerulean hue is soothing, invigorating, warm, inviting and brings the summer season to a home the whole year through. As summer 2015 winds down, we are constantly reminded of the natural pooling of this favored shade everywhere we turn, whether it's the ocean, swimming pools or the bright blue summer sky. We head into the Fall season holding on tightly to the color seen often in happy places. Blue works perfectly well alone, also is smart and chic when paired with oodles and oodles of white, and is smashing as a base to other strong colors or even moody when paired with black. 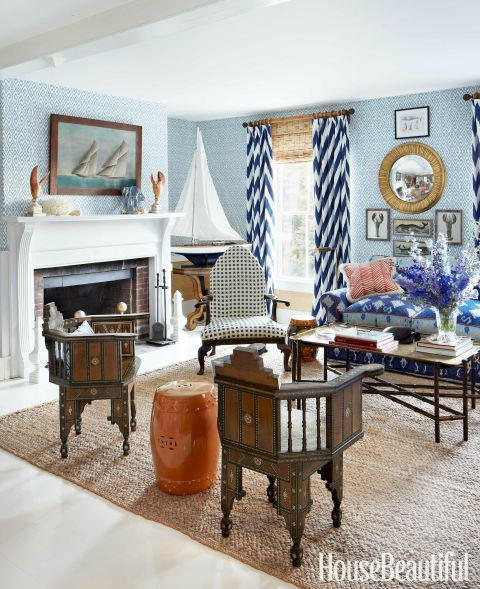 However, blue may be at its finest working together in varying shades of itself from indigo, navy to pale baby and like no other color it can conjure up a lifestyle in one glimpse that takes us to our favorite corners of the world. The Healing Powers of Blue? Many feel blue have medicinal value, and it has been researched and studied for years on how the cobalt version can help cancer patients to encourage healing. While others believe it may even help crops to grow. The color has deep roots in therapy and medicine going back to the Victorian times. And, more recently the color has been studied in a technique called Light Therapy using high intensity light to treat sleep, skin and mood disorder. 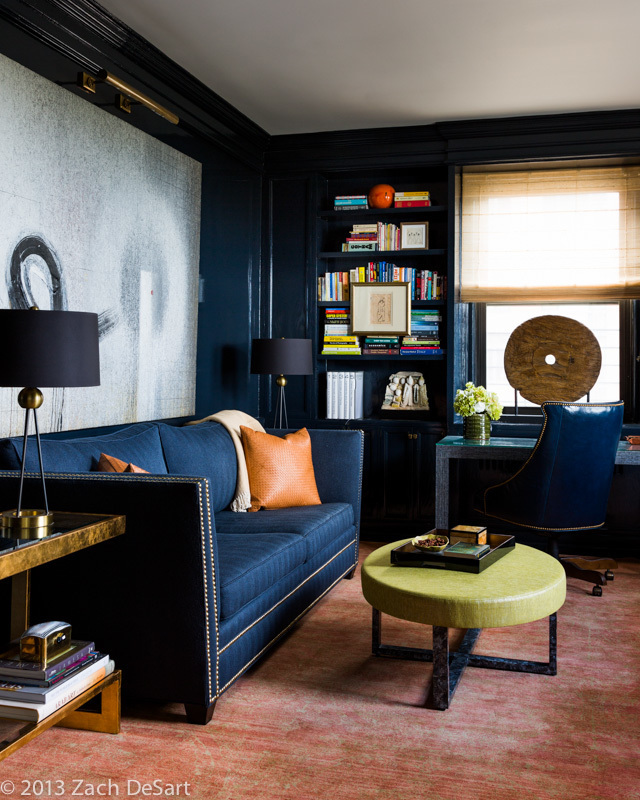 It is no coincidence that decorators use it over and over in their designs, and although pleasing to the eye it also seems to have a calming effect in a home. So, on that note let's soar the big blue sky of design to look at some of our favorite uses of this divine color in talented professional work. 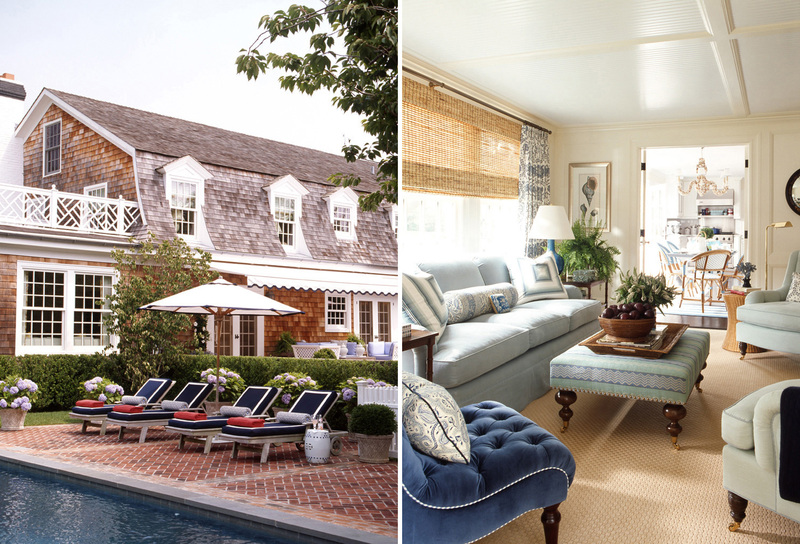 These are some of our favorite designers, so please take note how they creatively weave that summer hue into our homes, bringing us joy all year long! 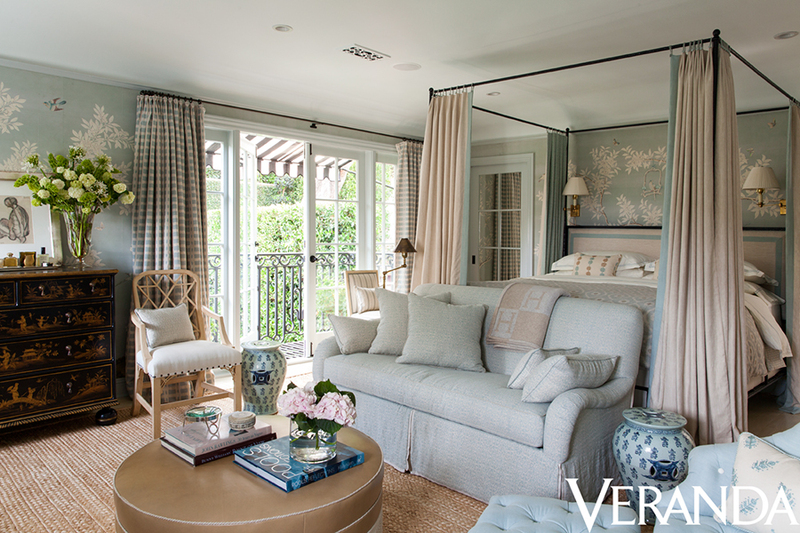 is known for combining bold colors together in a stunning result. 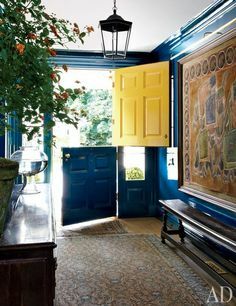 This foyer with classic barn door is stylish and powerful in this lovely sheen of blue. 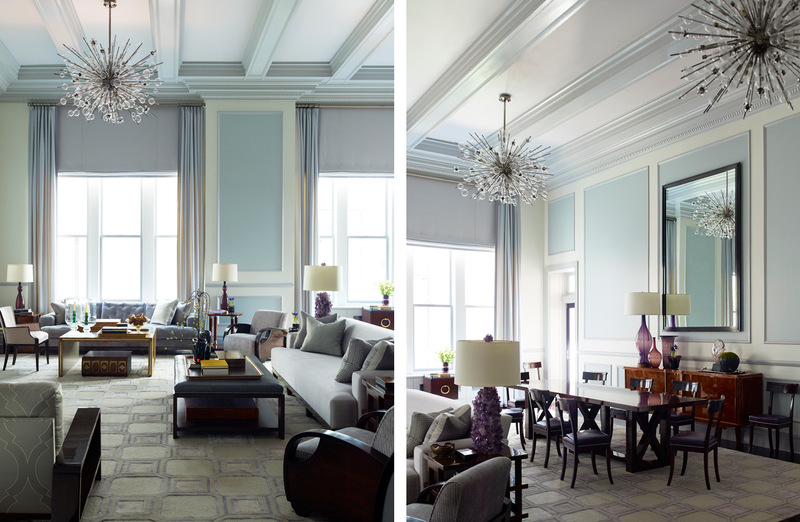 infuses both warmth and coolness together with this blue in a former, expansive ballroom in Manhattan. 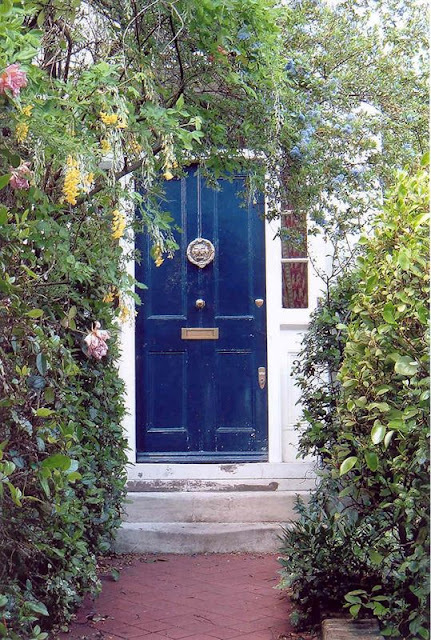 we are taking on a new Fall project to paint our East Hampton front door from the current fire engine to a similar hue to this blue above!